Hi there friends! It’s your fellow cookie enthusiast, Kelly, here, coming to you with our Team’s very exciting weekend adventures. This Independence Day, we spread cheer, smiles, and of course, lots and lots of cookies to the attendees of Dormont Day. Smiley sported his red, white, and blue while celebrating with both young and old fans of Eat’n Park. He encouraged his friends to try their hands at decorating their very own Smiley cookie. How exciting! This activity is exclusive to the Cruiser; and remember, wherever the Cruiser goes, fun follows! Smiley watched as all of his friends had so much fun bouncing and playing in the blow-up castles and obstacle courses. He wanted to join them, but his big feet were a smidge of a problem, so he watched from afar. All in all, it was another 4th of July for the books! Stars, stripes, and Smiley forever! 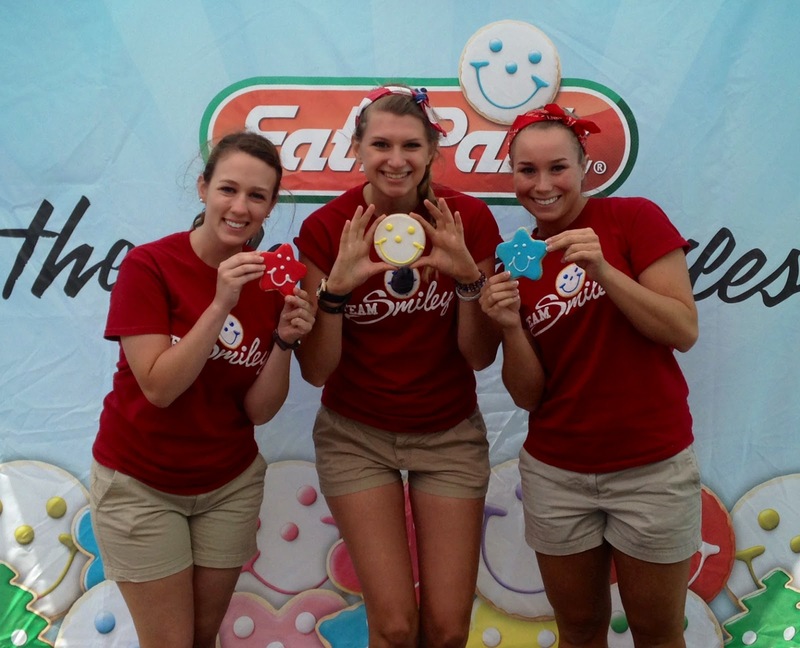 Check out http://www.eatnpark.com/smiley to find out where we’ll be next. Oh, and make sure you’re following us on Twitter and Instagram @ENPTeamSmiley for a chance to win a cool prize. Remember to #smileon and have a super #smileysummer!